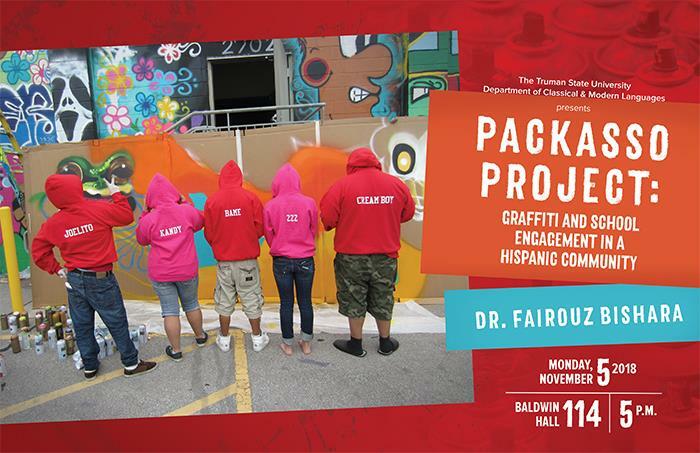 The Department of Classical and Modern Languages will host Dr. Fairouz Bishara at 5 p.m. Nov. 5 in Baldwin Hall 114 to present on the Packasso Project, a school-based program for the arts. The program allows graffiti artists to redirect their artistic ability toward an educational process. Through individual, in-depth interviews with several former members of the Packasso Project, insight was found in various social and academic factors impacting graffiti artists: need for recognition, value of relationships and school engagement. The presentation will highlight supportive learning environments in which diverse groups of students not only stay engaged in school, but also experience academic success that is the byproduct of continuous engagement.